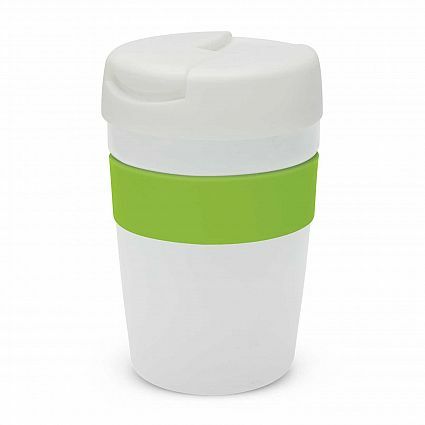 Premium 340ml double wall vacuum insulated stainless steel cup with a soft touch silicone band. 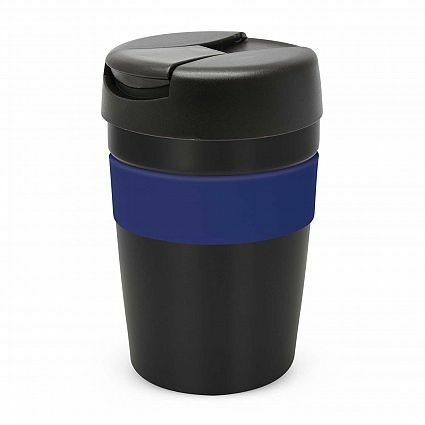 It will keep coffee hot for three hours and features a secure screw on lid with a flip closure which prevents leaks and spills even if the cup is knocked over. 42 colour combinations are available and the price includes one colour combination per order. 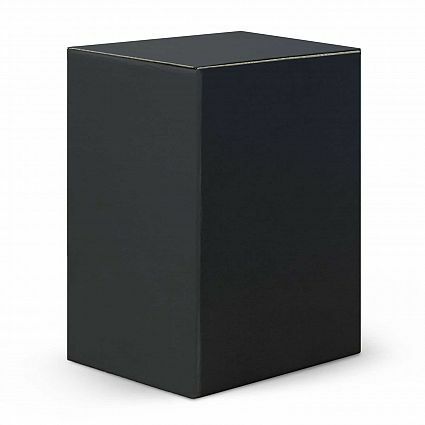 Multiple colour combinations are available for an additional charge and Java is presented in a black gift box. Handwashing is recommended. Dimensions: Dia 85mm x H 135mm. Pad Print: Below Band – 40mm x 35mm. Laser Engraving: Below Band – 22mm x 30mm.